In the fall and winter months, I love the aroma and cozy feeling of something baking or simmering. I adapted this spinach ricotta pie from Moosewood Cookbook, which has now been updated to The New Moosewood Cookbook. 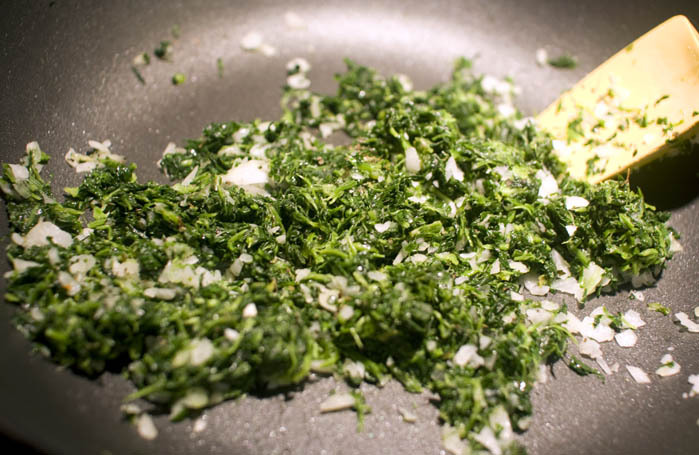 Sauté the spinach and onion in a bit of butter, until it softens. Season with the salt, pepper, and basil. 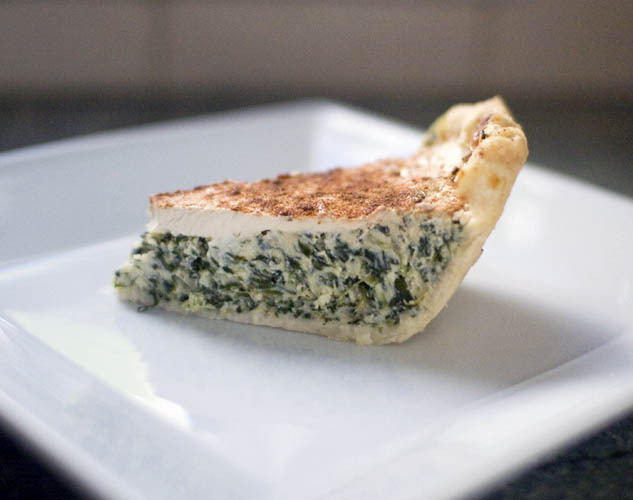 Combine the spinach mixture with the rest of the ingredients and pour it into an unbaked pie crust. Top it with the sour cream, spreading the sour cream to the edges in an even layer, then sprinkle with paprika. Bake it at 375 degrees for 40-45 minutes, until it’s set and the crust starts to turn a lovely shade of gold.